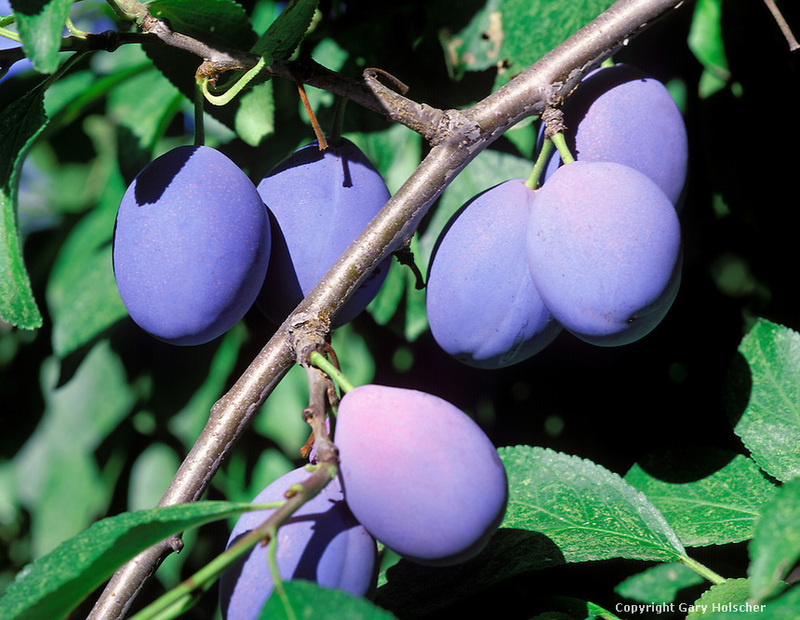 Italian plums, also known as Empress plums, are versatile, easy to grow, and hardy. Expect pink and white blossoms in March, followed by ripening of dark purple freestone plums with firm, dark amber flesh in August-September. Unique flavor with rich sweetness and lemon-tart edge. Italian plums are the main variety used in producing dried prunes, though they are also useful for baking, fresh eating, cooking, and preserving. When dried, the natural sugars make a suitable stand-in for traditional sweeteners. When cooked, juice turns deep red. Heavy producer. Easy to grow and reliable. The Italian plum doesn't need a pollinator to produce fruit, but is more prosperous with an adjacent pollinator. Italian plums originated in the Mediterranean coastal regions of Italy. The cool, arid climate is desirable for plum production, featuring long, dry summers and moderately cool winters.